Rog and Mel were both hankering for a bourbon to follow the Japanese whiskey and Scotch, while Karl was a little apprehensive during the selection due to past bourbon experiences in his teens and early twenties. 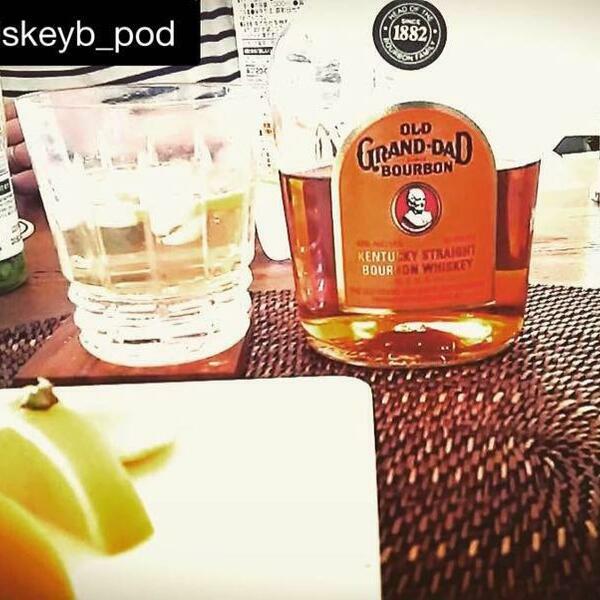 We finally elected to go with Old Grand-Dad Bourbon “The Head of the Bourbon Family”, which may or may not be an actual title. Mel makes the unwise move of insulting Danny Trejo, Karl makes the unwise move of insulting Steven Seagal, and Rog doesn't insult anyone because he's a nice young lad. We also learn a lot about balconies and verandahs, because education is important.